I've been waiting for this delivery for about a week now, impatiently at that. The skorts may have had their time with other people, but i'm still madly in love and I finally got the chance to buy them. I HAVE to have them in every colour when I get paid! Oh my gosh, you found a dupe for the topshop skort! It's about half the price, I think, so that's amazing. It looks so cute on! I love this skort ! I have the same in white. 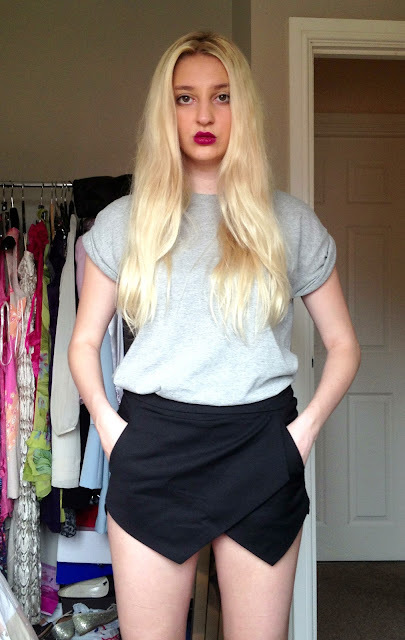 Love this grungy look...I wish I looked good in skorts!! Thanks for posting on my Chictopia post - following you now!! Obsessed with this look, I'd wear it in a heartbeat!